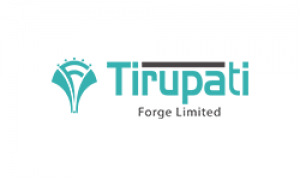 Business description from prospectus - Incorporated in 2012, Tirupati Forge Limited is an ISO 9001:2008 certified Company engaged in manufacturing of closed die forged products like auto component, bearings, gears, etc and forged flanges of mild steel, carbon steel, stainless steel, etc. based out at Hadamtala Industrial Estate, Rajkot, Gujarat. The company started operations in 2012 and initially catered to the requirements of international market mainly to United States of America but gradually, it has started exporting products to Italy, Morocco, etc and domestic market. Out of total revenue from operations, more than 88.04% was from exports in the financial year 2014-15. For the financial year 2015-16 and 2016-17, revenue from exports is 63.06% and 28.47% respectively while revenue from domestic sales is 36.94% and 71.53% respectively. Tirupati Forge IPO allotment status is now available on Link Intime’s website. Click on this link to get allotment status. How to apply for Tirupati forge Ipo, as it is not available on ICICI direct?